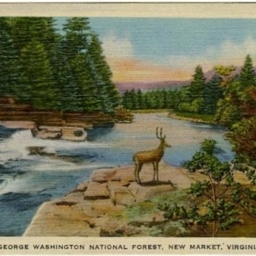 Postcard showing a scene from inside the George Washington National Forest near New Market Virginia. 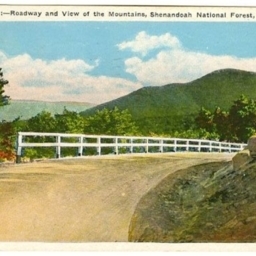 Postcard showing a portion of roadway and view of the mountains in the Shenandoah National Forest (now the George Washington National Forest). 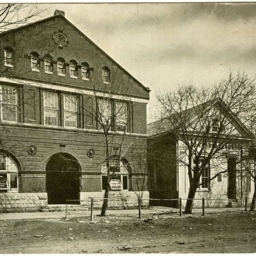 Postcard with a picture of the B. & L. Association and Shenandoah National Bank Building in Woodstock Virginia. B. 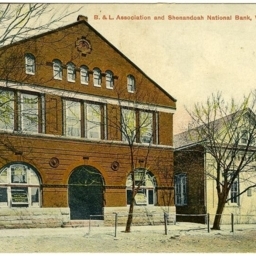 & L. Association and Shenandoah National Bank Building, Woodstock, Va.
Color postcard with a picture of the B. & L. Association and Shenandoah National Bank Building in Woodstock Virginia.